Lindsay Ontarior may be a small town, but it’s also a commercial hub and a popular destination for people looking to enjoy the area’s natural amenities. As such, businesses in Lindsay need to put their best foot forward in order to meet the needs of their employees, community members, and visitors. If the appearance of your Lindsay office is more a source of embarrassment than a point of pride, it’s time to consider an update. That’s where Alliance Interiors comes in. We plan, design, and furnish home and business offices in order to make them better places to work and visit. We know that every office is different, which is why we pay close attention to the individual needs and requirements of each client. While some businesses may work best with standing desks and an open office environment, others might be more suited to personalized cubicles, traditional desks, and ergonomic chairs. No matter what kind of office design you’re looking for, we’ll help you create your ideal work environment. Why Redesign Your Lindsay Office with Alliance Interiors? Lindsay has a lot of history, and if you’ve been in business here for a long time, you may be wondering why you should bother redesigning your office. Why fix what isn’t broken? If there are certain things that you like about your current layout, you don’t have to worry about completely losing them in your redesign. Alliance Interiors will work with you to maintain the aspects of your office that you like while also finding room for improvement, making your office an overall better place to be. Home Office Design: No project is too big or too small for Alliance Interiors. Even if you’re just looking for an interior designer to help you set up a home office that is free of distractions, comfortable, and pleasant to work in, we can help. Corporate Office Relocations: There are plenty of reasons why businesses need to move. They may have outgrown their current space, need equipment that is not available to them at their current location, want to be more conveniently located, or just need a change of scene. Whatever your reason for moving your business office, Alliance Interiors can help you coordinate your move and ease the transition. Office Project Management: We’ll handle every part of your remodeling project, from procuring construction drawings to determining how to get the most from your budget, leaving you to concentrate on what’s important to you: running your Lindsay business. Office Space Planning: Make the most of the space available to you and your employees by working with Alliance Interiors. We’ll help you plan a layout that will increase productivity, creativity, and workplace satisfaction. Office Furniture Procurement: That’s right, you don’t even have to worry about tracking down furniture vendors when you work with Alliance Interiors. We partner with high-quality office furniture vendors and can help you find new furniture to foster efficient, ergonomic, and safe work environments. 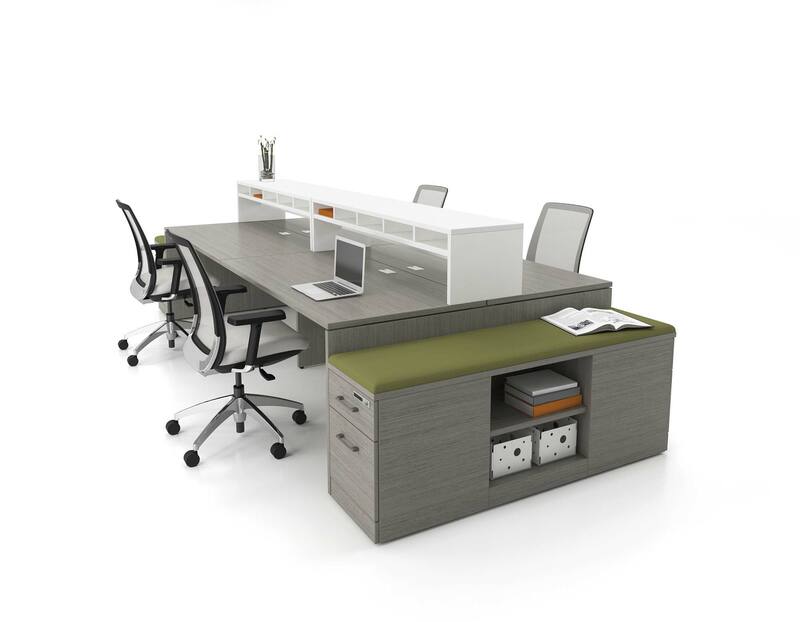 Don’t waste time and energy scouring the internet on a fruitless search for the perfect office furniture. Let Alliance Interiors do the heavy lifting, so to speak, by procuring office furniture for you. At Alliance Interiors, we truly care about the quality of our work, and we could go on and on about what we can offer your business. However, we think the best way for potential clients to get to know us is to contact us directly, and we encourage you to do so if you’re even vaguely thinking about remodeling your office, moving to a new business location, or purchasing new office furniture. You are, of course, under no obligation to hire us just because you contact us. Take the time to get to know our business and the services we can provide to your company, and if you think we’re the right fit from you, we can work together to come up with a plan that will fit in your budget. We look forward to hearing you, and we hope you’ll choose us to bring out your office’s full potential.